Tobacco smoking is the most common cause of lung cancer. Lung cancer is the second most common cancer and the primary cause of cancer-related death in both men and women in the United States. Lung cancer is the leading cause of death from cancer in the U.S. and the number of deaths from lung cancer in women is increasing. Summit offers non-small cell lung cancer treatments and small cell lung cancer treatments. Lung cancer treatment options include surgery, radiation therapy, and chemotherapy. Meet Phyllis and watch patient stories. Cancer types and options for care vary from one person to the next. At Summit Cancer Centers, we customize your treatment to fit you. Chemotherapy involves the use of anti-cancer medicines to kill or slow the growth of cancer cells. Our highly trained staff works with the medical oncologists to administer the treatment. Chemotherapy can be delivered either intravenously (IV), by an injection, in the form of a pill, or through a combination of delivery methods. Our specialized immunotherapy treatments are used to boost or restore the ability of the immune system to fight cancer, infections, and other diseases. 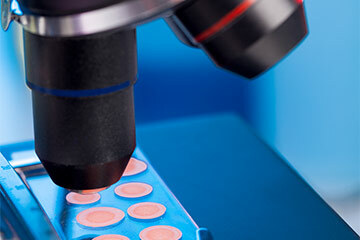 Immunotherapy is also used to lessen certain side effects that may be caused by some treatments. 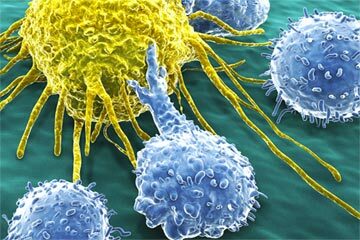 Immunotherapy is also referred to as biological response modifier therapy, biological therapy, or biotherapy. The CyberKnife Robotic Radiosurgery System is a non-invasive alternative to surgery for the treatment of both cancerous and non-cancerous tumors anywhere in the body. The treatment – which delivers beams of high-dose radiation to tumors with extreme accuracy – offers new hope to patients worldwide. 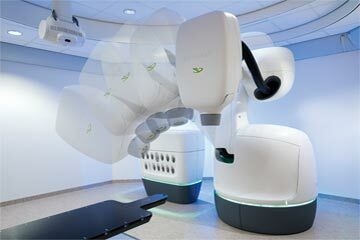 TrueBeam HD radiotherapy is a precise and powerful cancer treatment. 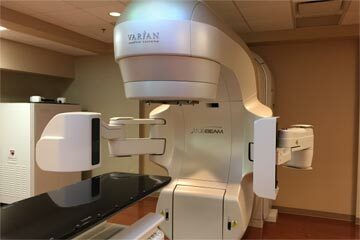 Combining the technology of radiotherapy and radiosurgery, TrueBeam delivers a prescribed radiation dose from nearly any angle while it rotates around patients to precisely target tumors with great speed. 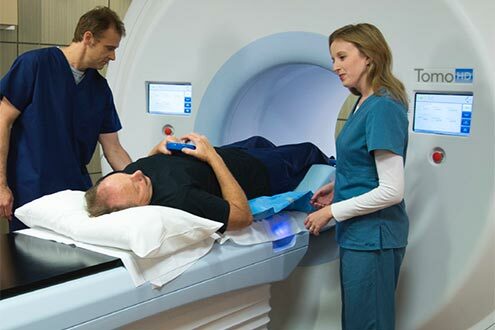 Radixact™ TomoTherapy is a highly advanced form or radiation therapy, designed to enable doctors to more efficiently and effectively deliver precise radiation treatments to more patients.